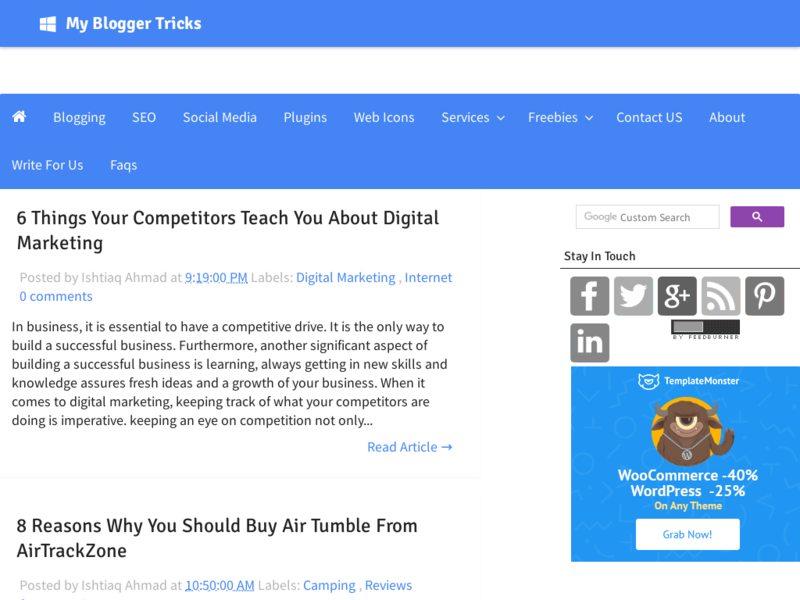 My Blogger Tricks is a Leader in the Blogging Help And Tutorials Category, Dmoz listed and topping Google results for many blog related search terms. A loyal reader base of well over 180 Rss Subscribers and over 2300 followers on Twitter, Facebook Google Plus and Google Friend Connect. These are backed up with a huge flow of Search Traffic, Social Media Traffic and Casual Traffic.Our Visitors have interests in Blogs (Mainly Blogger and Wordpress), Social Media (Facebook, Twitter and Social Bookmarking), SEO, Monetization from AdSense and other sources and other blog related content.